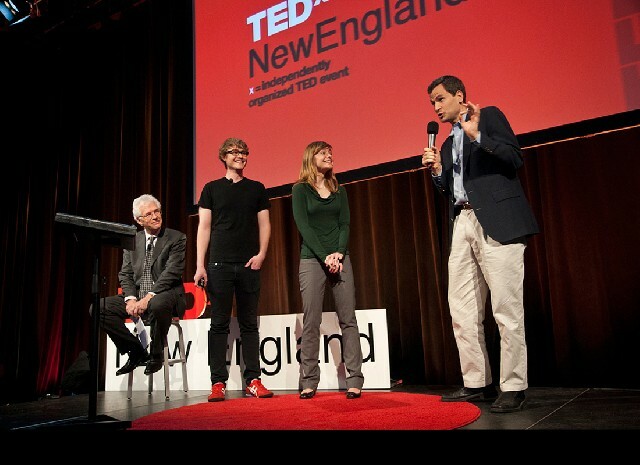 On November 1, 2011 Boston hosted the first TEDx New England conference with a great success. Over 250 persons attended the conference at the WGBH auditorium while another 300 followed the conference on-line. A roster of exceptional speakers from the academic, arts and business world addressed the conference. Mark Massie and Leslie Dewan from MIT’s Nuclear Engineering Department were the stars of the event. Other prominent speakers were: Paula S. Apsell of NOVA scienceNOW, Janet Echelman environment sculpture artist, John Hunter a gifted teacher and educational consultant, Joseph Kessler’s president of the Intelligence Group; Gloria Cordes Larson, president of Bentley College; Richard Lester Japan Steel Industry Professor and Head of the Department of Nuclear Science and Engineering at MIT; Tod Machover composer and head of the MIT Media Lab’s Opera of the Future group; Nitin Nohria Dean of the Harvard Business School; Katie Smith Milway, winner of the 2009 Massachusetts Best Book for Children Award and 2009 Children’s Africana Book Award; Amma Sefa-Dedeh, One Hen’s first executive director; Jeet Singh, Managing Director at Redstar Ventures and David Pogue from the New York Times as the conference host. Baker Design Group, Inc. and WGBH presented the conference in partnership with Shawmut Design and Construction. The attendees were able to follow the conference free of charge due to the generosity of sponsors. A conference requires a vision as well as countless hours of preparation and logistics. I had the privilege to interview Stephen Baker, Principal of Baker Design Group Inc. in Boston and one of the co-founders of the New England TEDx conference; Vinay Mehra WGBH CFO is the other conference co-founder. Nelida Nassar What do you like most about your creative side? Stephen Baker I have a constant craving for improving everything I see. My creative side is constantly researching materials and testing ideas, to bring innovations to every aspect of my life, and the lives of our friends and clients. NN How do you balance your creative side with a conference like TED? SB The TEDx Conference is a wonderful way to feed my creative side. The diversity of presenters and subjects lets me dive into their fields of expertise to enhance my own understanding of what is possible. Each one of us is only as creative as our “life experience” and “knowledge” allows. The TED Conference provides me an intense deep dive into a vast field of subjects, and often leads to new relationships, and future collaborators that I meet at the conference. NN Why are you interested in TEDx New England? And how did you get involved to be one of the sponsors? SB In June of 1997, I started Baker Design Group, Inc. As we neared the first anniversary of the firm’s beginning, I wanted to thank everyone that we had connected and worked with that year; and say “Thank you”. Summer is a very optimistic time of year, and June 21st is the longest day of the year, so it seemed that we should create a “Summer Party” to celebrate the best and longest days of the year. Our winter Holiday Party is private, and just for the members of the office, so the Summer Party gives us the chance to host everyone else. The Summer Party did not want to be your typical “Business Event”, but a real summer celebration with barbeque, beach balls, and adults and children from all walks of life. The party was well received, and that first year we had 150 guests attended. We are now in our 14th year of the Summer Party and around 350 to 400 people in our office usually attend it, which is designed specifically to host the event. Over the years, with the party being so well received and appreciated by our guests, and the attendees so wonderfully eclectic, it seemed that the outcome of the party should be more than just a good time. Should we use the party to raise funds for a charity, or cause? The question became, what cause or charity, and how can we select just one, three, or six, recipients? There must be a better way to leverage the good in this gathering. I have been attending the TED Conference in California for the last 7 years. Some of our guests at the summer party have been past speakers at TED. For years, I have thought that if I was to install a PA system at the office and hand over a microphone to some of the guests, they could tell us what they were passionate about, or working on. It could transform the party, its purpose, and inspire our guests. NN Who was behind the initial TED concept for New England? SB Two years ago, I heard that TED was creating an opportunity for people to hold conferences outside of the annual event in California. These events would be called TEDx, and if you worked in concert with the TED organization you could be granted the license to have your own event. I began to rethink the Summer Party and how it could be transformed into a TEDx event. 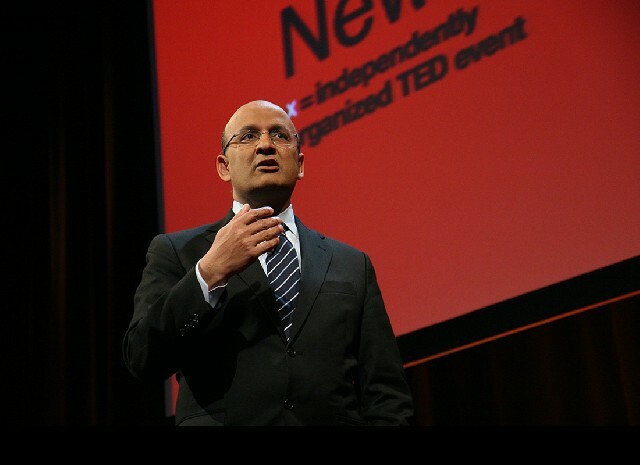 In February 2010, I was attending the TED Conference and was fortunate to meet Vinay Mehra, the CFO of WGBH. We happened to meet while standing in line, and then attended many of the presentations together. After a couple of days into the conference he and I were sitting in the auditorium listening to a debate on Nuclear Power versus Wind and Solar. During their debate on stage I kept reflecting on my conversations with a client of mine, Dr. Richard Lester, Head of the Nuclear Engineering Department at MIT. I leaned over to Vinay and whispered, “I should turn my Summer Party into a TEDx, and we could have some of our guests talk about their research”. Vinay responded with delight and said, “Plan the event with me, and we can host it the WGBH Broadcast Headquarters”. Once we returned to Boston we contacted the TED organization to find out about getting the license for TEDx. After several discussions with the team at TED, they said, “If Baker Design Inc. & WGBH are getting together for this event, you should take on TEDx New England.” This began an 18-month journey to plan and organize an event that would be something we could be proud of, and could serve the greater good of our region. We wanted to create a stage for telling the amazing stories of innovation and hope being created in our region, to address the needs of New England and the world beyond. NN What is your exact role regarding the conference besides sponsorship? And what does it entail to be a sponsor? NN In what way will TEDx New England be any different from other TEDx conferences across the country? SB New England has an incredible “embarrassment of riches”, when it comes to bright people, teams, companies, and institutions. The work, research, and innovations, of these individuals and groups affect the lives of people around the globe. This is what makes the content for TEDx New England so different from others. We are also planning for TEDx New England Salons (smaller events) that will be held at special locations and focused on unique subjects, in the six states of New England. These will help us learn more about the great people and stories in these states. NN What are the rewards you expect to reap from this conference personal and business wise? SB I have always operated on the “Karma Principle”. All my life I have been able to see that the more I give without concerning myself about rewards, the more the rewards flow back to me in unexpected ways. I have countless stories that I can tell you of the cause and effect of giving with no concern of reward. 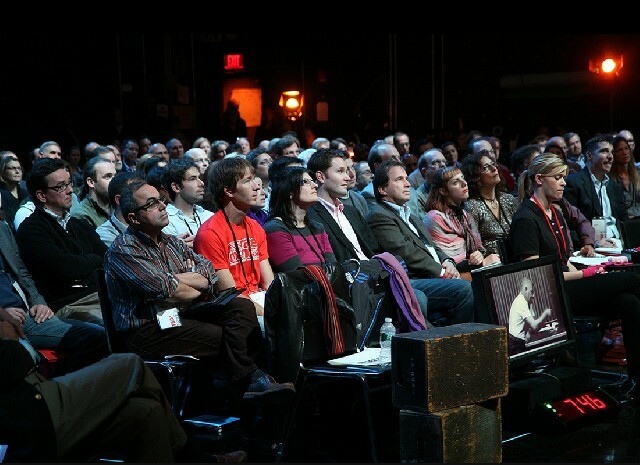 I have learned and experienced a great deal from attending the TED Conferences all these years. The projects in our office are extremely diverse and wonderfully challenging, offering us the opportunity to work with amazing clients, and a fascinating group of consultants. This wide array of design challenges and collaborators creates a TED-like experience for us almost every day. Creating TEDx New England, gives us an opportunity to share our good fortune with other people, and hopefully inspire others to follow their passions. NN How did the funds get gathered for the conference? SB Raising funds for an event that is never held is a very difficult challenge. You cannot get great speakers to commit, without being able to assure a first class event. You cannot raise money for an event that does not have good speakers. It is not a “Chicken and Egg” proposition. It is more like “bits” of chicken and egg, until you can finally create something worth eating! Working on the “Karma Principle” again, and with the help of a select group of friends and believers in the good that this event could bring to the region, we combined both personal investment and sponsors to assure the funding, so we could get great speakers. We are very hopeful that once people experience TEDx New England, that more sponsors will step up to help our cause, and support future events. NN Are the speakers paid? SB The speakers are not paid but if they have to travel and stay overnight, we pick-up their expenses. It should be noted that some speakers also pick-up all of their own expenses, (the Karma Principal at work again). NN Is there a theme for this year’s conference? SB There is not a theme for our first event. We are trying to create a “Mental Buffet” with a diverse selection of unique speakers. NN Anything you may want to add? SB I hope that TEDx New England will be warmly embraced and supported by the people we are connecting with. We hope to create a counter point to the sensationalized bad news stories that the news media appears to focus on. 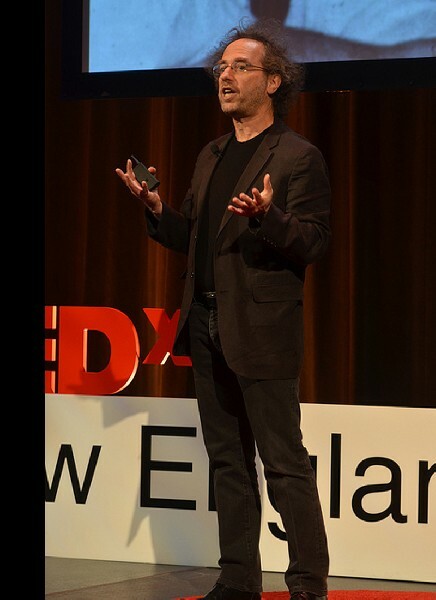 The mission for TEDx New England is to be a showcase for the exciting ideas and work in New England, to bring hope and inspiration.